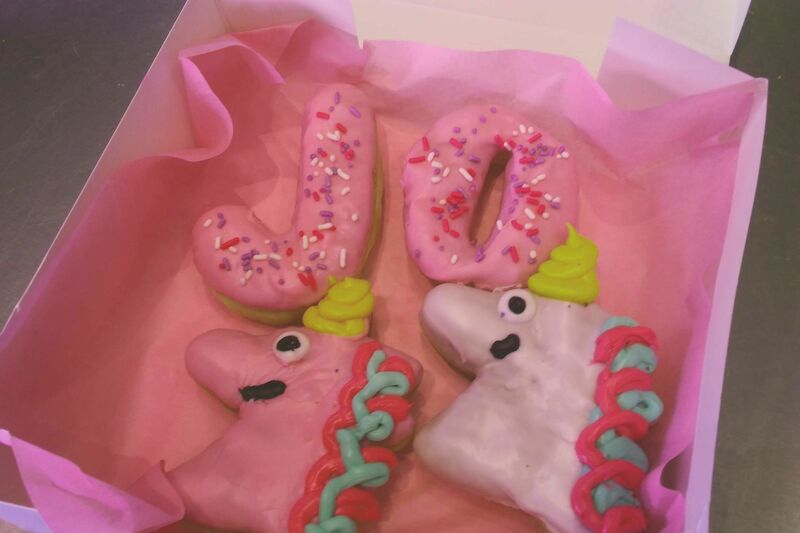 A new made-to-order doughnut chain is open in Houston. Hard to go wrong with peanut butter & chocolate and maple bacon. Buying doughnuts is a pretty straightforward task, with good reason. Doughnuts are the ultimate "I don't want to think too hard about breakfast" food. There's a beautiful simplicity to the process, and because you watch your order go from tray to bag you always know you're getting exactly what you asked for. 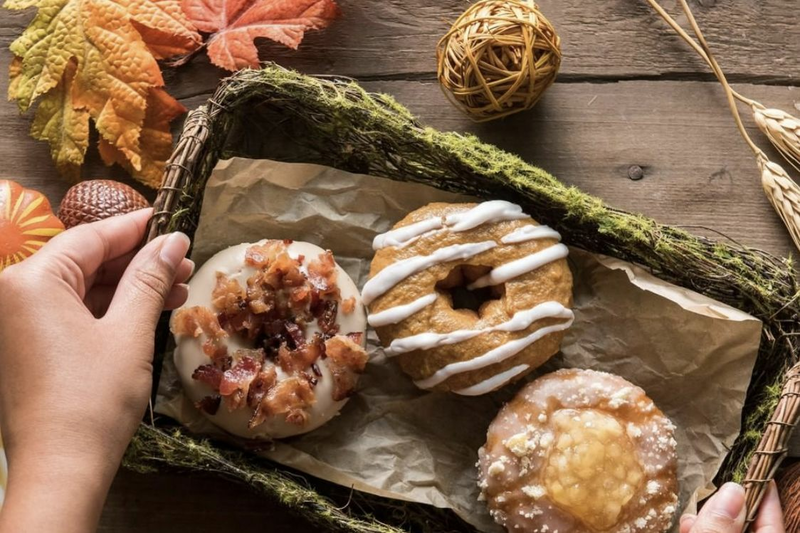 While doughnuts have gotten fancier over time, the process of ordering and consuming them has remained remarkably stable. Which is probably why it's never occurred to me to wonder why I've never been to a made-to-order doughnut shop before. 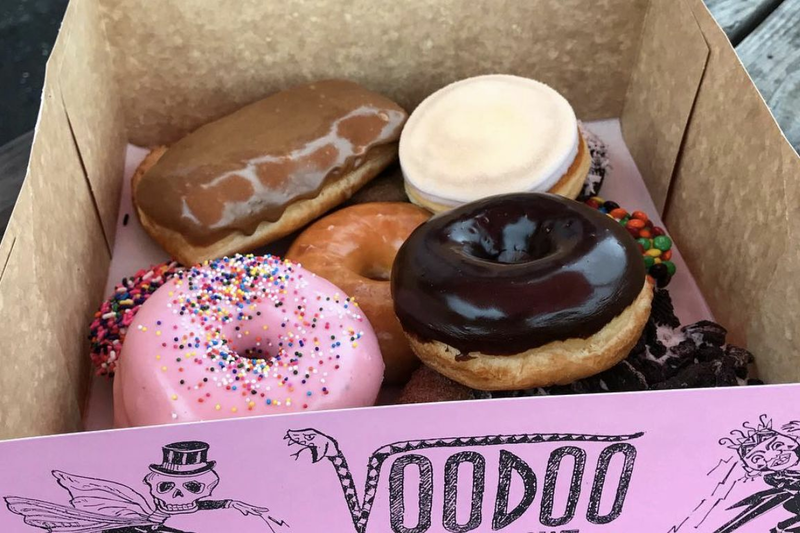 Doughnuts aren't supposed to be something I have to make any major decisions over; really, the only tough decision doughnut buying usually involves is figuring out what your backup is going to be when the doughnut you really want is sold out. 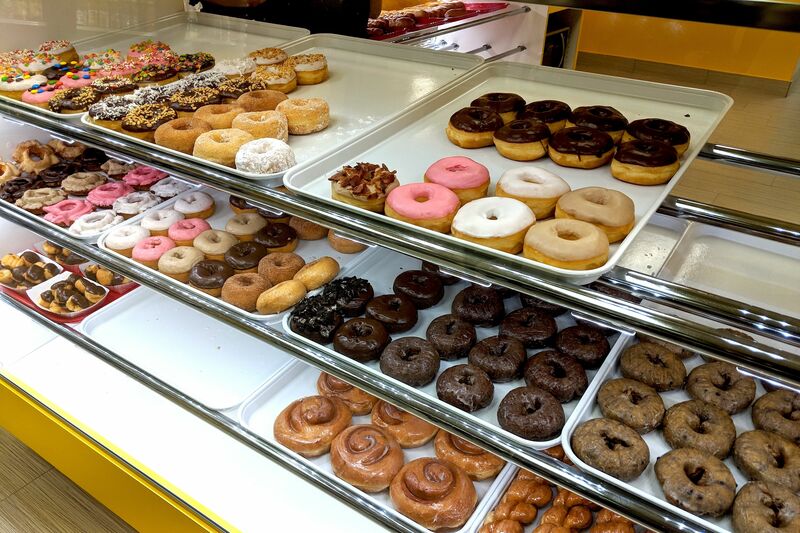 But a new chain that just landed in Houston is here to give you greater control over your doughnut purchasing. 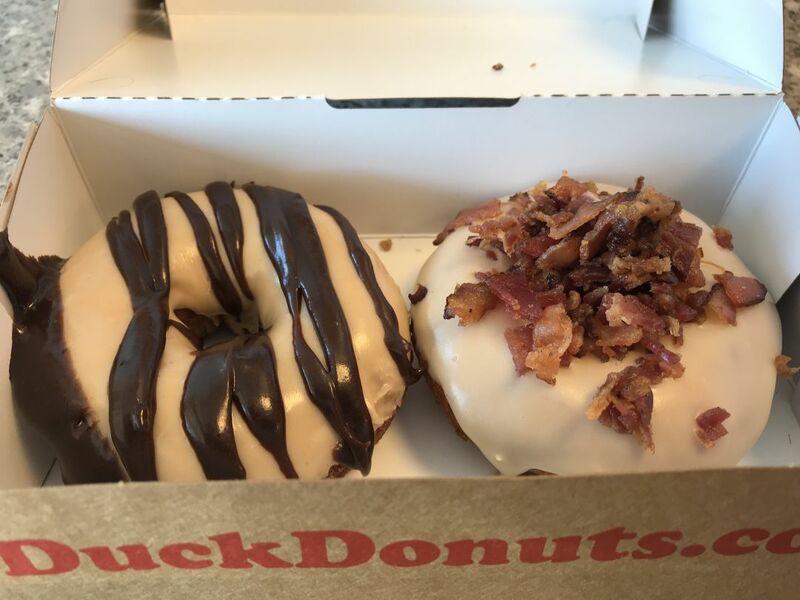 Duck Donuts opened up over the weekend at 3157 West Holcombe Blvd. in Vanderbilt Square. The Houston outpost of the North Carolina based chain is the first in Texas, and after getting a few extra hours of sleep on a Monday morning I headed over to see what they're cooking up; best to be fully rested before making important doughnut decisions. Your doughnut future is in your hands. 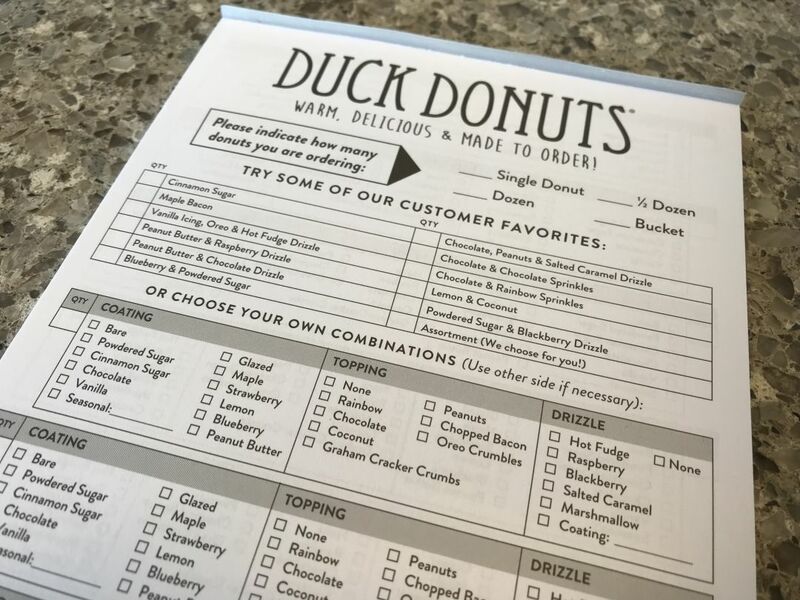 There are a variety of ways to customize your order at Duck Donuts, but they also have some recipes they suggest on their order sheets. I went with two of these suggestions for my order as they were things I would have ordered left to my own devices: Peanut Butter & Chocolate Drizzle and Maple Bacon. Each doughnut is made to order no matter if you cheat with a recipe or go full custom. The base donut is vanilla cake, and it's a heavy doughnut. Even if you're the type of person that eats three or four yeast doughnuts in a sitting, you'll probably won't want more than two of these; once you add in the toppings, these things are pretty filling. The doughnuts have a pretty good flavor on their own, with a crispy edge at their center mark that makes for a nice crunch as you eat. As for the toppings, they had me thinking more cupcake than doughnut, which isn't necessarily a bad thing. Both doughnuts I had were very sweet, which wasn't a surprise, but the overall effect was more like eating a fancy dessert rather than a morning dish. The bacon used was very tasty and they weren't stingy with piling it up, which always gets bonus points in my book. I definitely felt that I got my money's worth with both doughnuts. The main thing that I felt leaving Duck Donuts and heading into the rest of my afternoon was that kids are going to love it. With the cotton candy blue walls, an adorable mascot and the ability to custom order what they want, it's the type of place I can see youngsters bugging their parents to revisit. For the rest of us, it's not a bad splurge for those mornings when you're wide awake and ready to think.